The Voice Memos app came built-in with iPhone OS 3.0, and remained pretty much the same until now. In iOS 12, it gets a complete redesign. Plus,Voice Memos will run on the iPad and the Mac as well, syncing between them using iCloud. Voice Memos’ setting are sparse, but important. First stop: The Settings app. There are only a few settings for the iOS 12 Voice Memos app, but one of them is very important: Audio Quality. If you’re recording Voice Memos to make notes, then you should leave the quality setting at the default: Compressed. If you’re recording music snippets or interviews, you should switch this setting to Lossless. This will take up more storage space, but as Voice Memos now saves files in iCloud, it’s no big deal. The Settings app is also the place to set the length of time before the Voice Memos “trash” is emptied, and how new files will be named. The default is for files to be named for the Current Location, but you can also choose Recording Number. 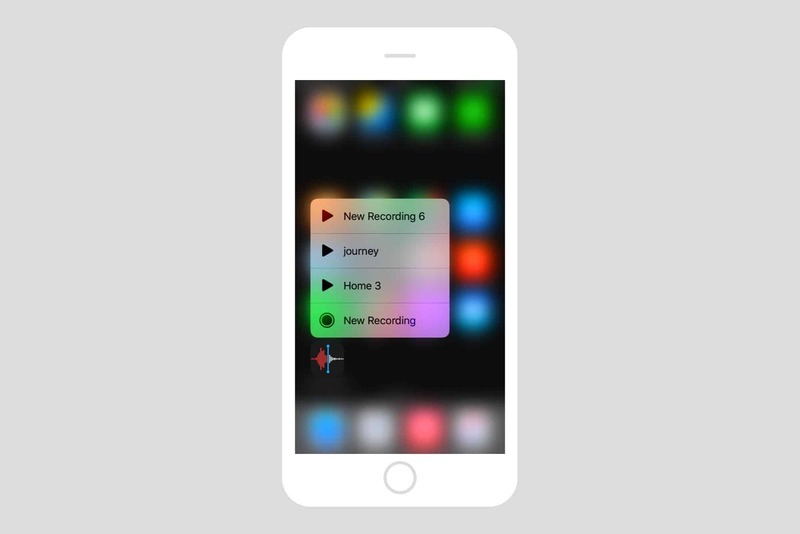 Voice Memos launches straight to its own home screen, with a big red record button ready to go. You also see a list of your previous recordings, which can be played after tapping on them (I prefer a list where you can play a file immediately just by tapping on it, as in my current favorite app, Just Press Record). Tap record, and you’re recording. That’s it. On the iPad, you can pause the recording. On the iPhone, you’ll see only the stop button. To access these other controls on the iPhone, you must swipe the recording panel up to fill the screen. That will give you access to the rest of the recording UI. The Control Center widget for Voice Memos in iOS 12. The 3D Touch widget for Voice Memos in iOS 12. 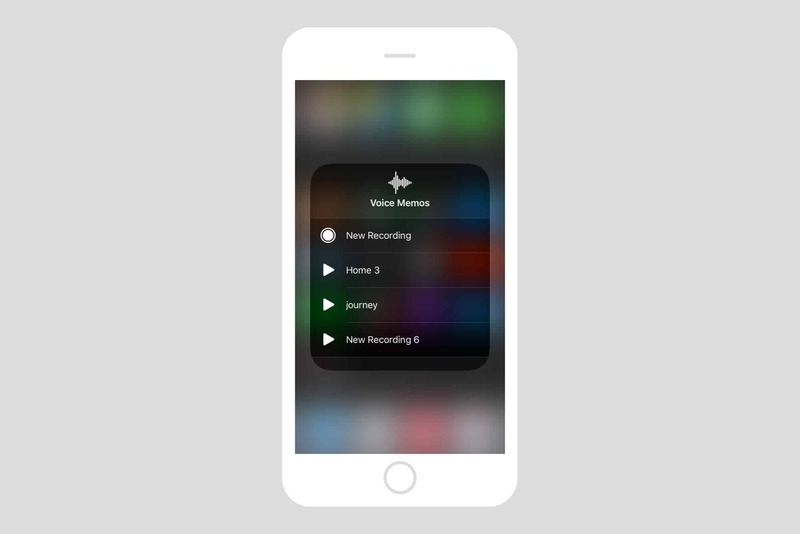 In either of these, tapping on New Recording will launch Voice Memos and immediately begin recording. That’s pretty great when a dodgy cop stops you in the street and you want to make a quick record of the encounter. Along with the New Recording buttons, you can also access the last three recordings you made. There are two main editing tools in the new Voice Memos app. 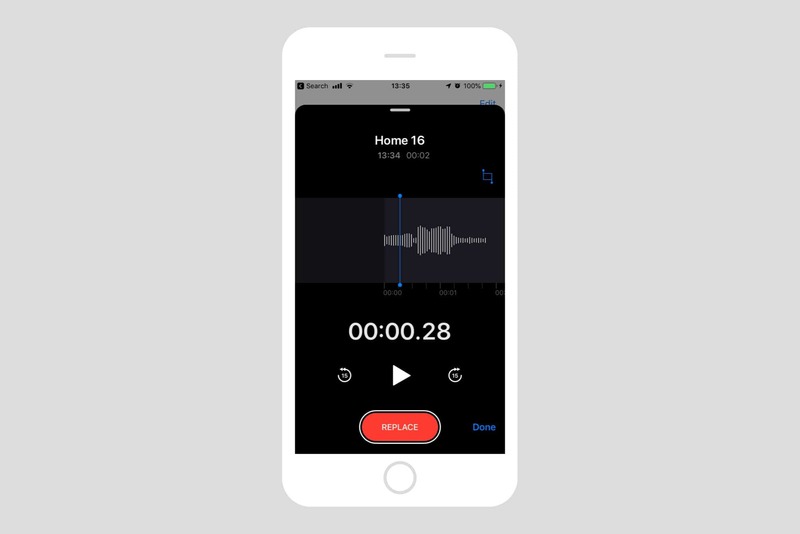 You access the tools by tapping the Edit button in the recording you want to edit. On the iPad, this is visible at the top right of the playback view. On the iPhone, you can find the Edit button by tapping the recording in the list, then tapping the three-dot icon and choosing Edit. You can also swipe left on a recording to access the same options. 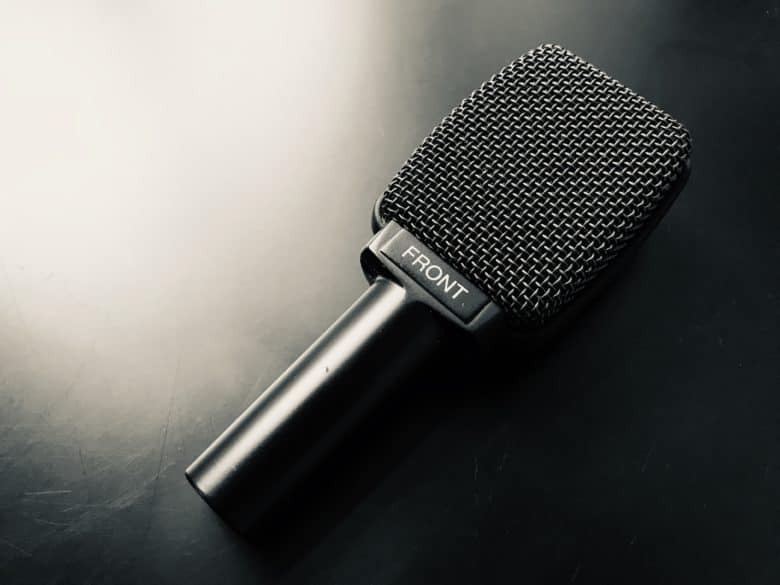 You can quickly make corrections to your recordings, or do deep editing. After entering Edit mode, you can scrub the waveform of the recording to find the spot you want to edit. The red Record button changes to a Replace button, and tapping it will record over the current audio. Right now, you cannot undo this. If you scrub the playhead to the end of the recording, the Record/Replace button changes to a Resume button, and you can add new material to the end. Next up are trim and delete. In the same screen, tap the crop icon (the little square-ish icon at top left in the iPad screenshots here). This brings up the Trim and Delete screen. Here, you move the yellow handles to select a section of the audio clip. You can move the handles on either the upper or the lower waveforms, and the other one will mirror the one you manipulate. Once you have the selection you want, you can tap either Trim or Delete. Trim removes everything except the current selection. Delete removes whatever you have selected. Tap Save Changes and you’re done. You can even punch in over your recorded audio. In early iOS 12 betas, Voice Memos had a dedicated insert/append mode. This let you make inserts into your audio. Audio pros know this as “punching in.” For example, imagine you are in the studio recording a song, and you hit a bum note on your otherwise-perfect guitar solo. Instead of re-recording the entire solo, you just punch in the right note over that duff one. In the final release version of Voice Memos, you punch in by moving the playhead to the beginning of the section you want to replace, and tapping Replace. The app starts dubbing over the original audio track, just like recording over a cassette tape. It’s quick and dirty, but it gets the job done. You can also rename, share and duplicate any of your recordings. And, of course, you can delete them. Oddly, you can’t yet open a file directly into GarageBand, but perhaps that will come in future versions. Still, despite these oddities, the new iOS 12 Voice Memos app is killer. I’m already using it as my default recording option for song ideas. One feature I would add is a presence in the Files app. 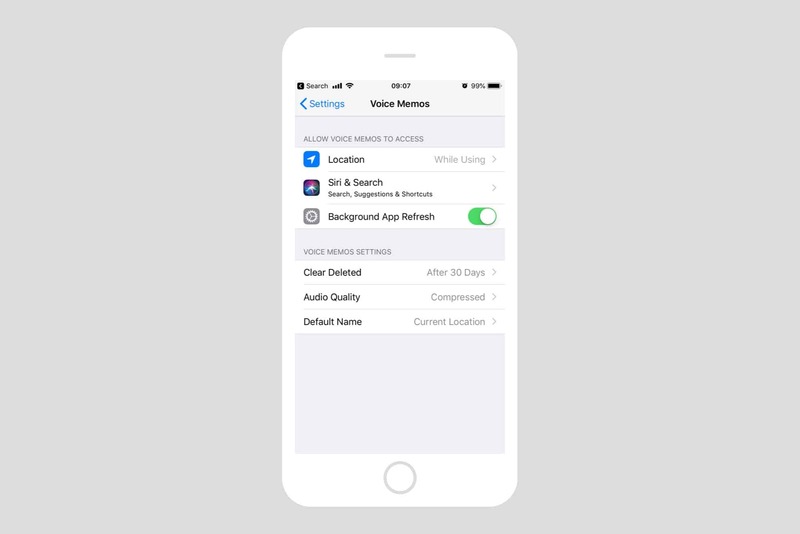 Your Voice Memos are synced between devices via iCloud, but they can’t be accessed in the Files app. By contrast, Apple’s own (abandoned) Music Memos app has a folder in iCloud Drive, making it easy to drag and drop your clips to any other app. Other than that, Voice Memos is awesome. Editor’s note: This post was originally published on June 28, 2018, during iOS 12 beta testing. It has been updated for the public iOS 12 release.